Hey everyone! I am a filmmaker that's based in Los Angeles. I do freelance directing and editing work and also do freelance production crew work (assistant director, videography, production assistant, etc.) as well. My best strengths in filmmaking are music videos, television shows, feature/short films, web series and commercials. I'm always expanding my skills to evolve as a storyteller, while challenging myself with different projects and mediums. Whether it's directing music videos with musicians or being an editor for wedding videos, every project that I work on is a learning experience. This video shows all of the projects that I directed and edited in 2017. From documentaries, events, music videos, fitness videos, short films, etc., this video captures the kinds of stories that I create as a filmmaker. Here is a music video for Chawa Lilith's "We're All One", a folk/indie musician. The project was shot in August 2018 and completed in September 2018. I was the director and videographer. "Lovebud Productions" is a video production company that focuses on creating, shooting and editing wedding videos all across the county (mostly in Southern California). The company does wedding video highlights, short films about the couple's story, etc. I was an editor for a few wedding video highlights. Here is one of the videos that I worked on. Soul Song Paralytic: opening night! Inspired by the loss of very close friends, "Soul Song Paralytic: grief, death and other favorites" was a musical-visual collaboration exploring grief that brought together the musician Dup Crosson (Saint Solitude) and the visual artist Dara Lorenzo of an evening of art and catharsis. Drawing from and sublimating personal losses into a complete musical album and visual exhibit, the event created a shared public space where mourning and all its facets can be on display with pride. The event connected with those in mourning and encouraged similar creative means of expressing the brutal emotional experiences found in loss. Alongside the debut of Dara's exhibit, Saint Solitude performed as a band for the first time in 5 years, playing the newly released album in its entirety. I was the director, editor and co-videographer for the event. The "3.9 Collective" is comprised of African American artists of varying genres residing and working in San Francisco. The event was to have a food and social gathering for people in San Francisco, hosted by a famous San Francisco chef and her colleagues. I was the editor for the video. This is a music video for the rock remix of "Waiting for the End" by Linkin Park, being a tribute to Chester Bennington. I was the editor for the music video. "Mental Health Matters Day" was a mental health event+festival on May 24, 2017 at the California State Capitol. The purpose of the event was to decrease the stigma around mental illnesses, have speakers+entertainers share their mental health stories, promote mental health organizations in California, etc. The event happened from 9:30 a.m. to 1:55 p.m. I was the videographer and editor for the video. The event was organized by the mental health organization "Mental Health America of California". 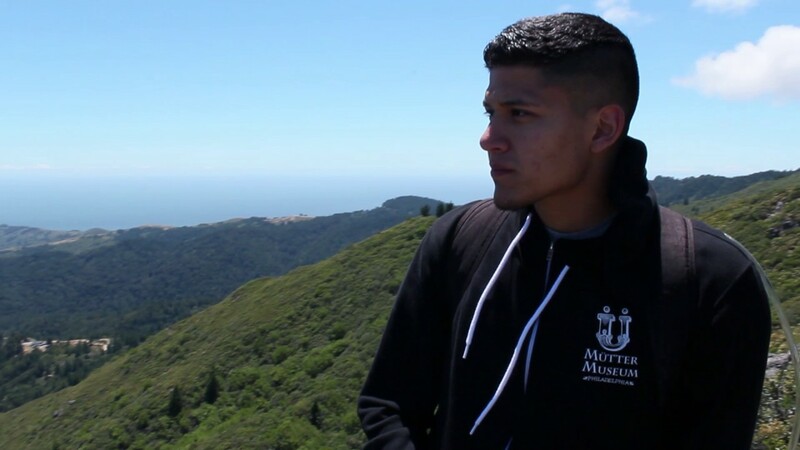 Here is a video that I made with a San Francisco blogger and personal trainer, called "Mayor of Fitness: Marin Headlands Workout." The purpose of the video is to show who the Mayor of Fitness is and to show that exercising can be done outside (in nature), not just an indoor gym. I was the director, editor and videographer for the video. Arman (a techie+entrepreneur) decided to propose to Erika on 11/25/2017. He did a full day plan on the proposal and engagement party, with his friends and family being there for him as well. This video captures the entire day in Napa, California, from the hot air balloon being set up in the morning to the engagement dinner party. I was the editor for this video. Here is a short film that I was the director, editor and videographer for. The short film is for the fitness startup company "Train Your Body and Mind". Here is a video that I was a director, editor and videographer for. The main purpose of the video is to introduce the people that are in the new fitness startup company to the general public. Here is a video that I was a director, editor and videographer for. It is a motivational video composed of 4 people (including myself), hiking up the peak while having their voiceovers (via motivational speaking) throughout the video. This is the 1st video for the fitness startup company "Train Your Body and Mind" I was the director, editor and videographer for. The video quickly summarizes the mission of the company and shows some of the members of the company as well. This documentary music video (2nd project in my mental health story trilogy) was the final project for my "Projects in Film Editing" class during my spring 2016 semester at San Francisco State University. I was the director and editor of the project. This music video is based on the song "La Belle Fleur Sauvage" by Lord Huron. The music video is a love story about 2 people (who don't know each other) that are destined to be together. I was the editor and production assistant for the video. The actress is a ballerina at "San Francisco Ballet". This music video (3rd and final project of my mental health story trilogy) was posted on my Facebook on December 29, 2016. This music video was meant to be my series finale and farewell of going to college at San Francisco State University. In the description of the video on Facebook, I talked about: My high school/college story (my mental health story), reflecting on my college experiences and lessons, what I'm going to do with my life (career, where I'll live in the future, etc. ), a thank you list, the reason why I made the music video and saying a final goodbye statement in the end. I was the director and picture editor of the music video. In May 2016, the Labor Archives and Research Center at San Francisco State University commissioned Flyaway Productions to create a site specific performance. Flyaway Productions is a well received dance company that explores the range of female physicality and advances social issues in the public realm. The performance took place in the form of an aerial dance, to commemorate the Center’s 30th anniversary and to celebrate the work of California’s unconventional women. This documentary short subject shows some history of the Labor Archives, rehearsal footage from behind the scenes, and the full performance of "Archives and Outcries". I was an editor for the video. In one of my film school classes, I was assigned to do a video essay (via editing and voiceover) on a particular film, director (s), film topic, etc. I decided to do my video essay on Marc Webb's 2009 film, "(500) Days of Summer". I discuss how the non-linear narrative is beautifully executed in the film to make an unconventional romantic comedy. Here is a video tribute that I edited of the summer movies of 2014, being all of the films that I saw during summer 2014. Here is my film tribute that I edited of my top 30 favorite film of 2013. Here is a video tribute for "La La Land" that I edited. "La La Land" is one of my favorite films. If you're interested in collaborating on a project together, hire me for a project, etc., feel free to message me on this website. I'm also available via email, text message/phone call and social media accounts. "Welcome to your life, there's no turning back." COPYRIGHT © ERIC GONZALEZ, ALL RIGHTS RESERVED.